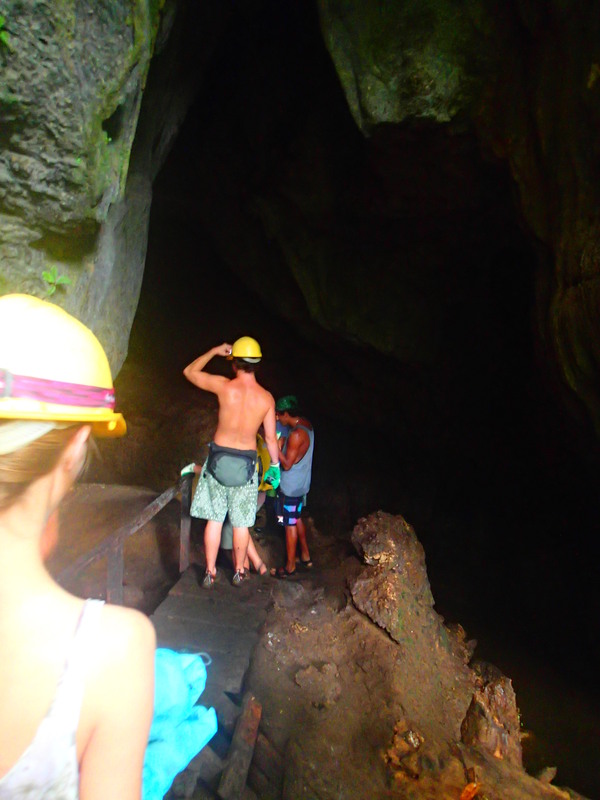 la gran adventura... | a semester abroad spent in Costa Rica, Nicaragua and Panama. 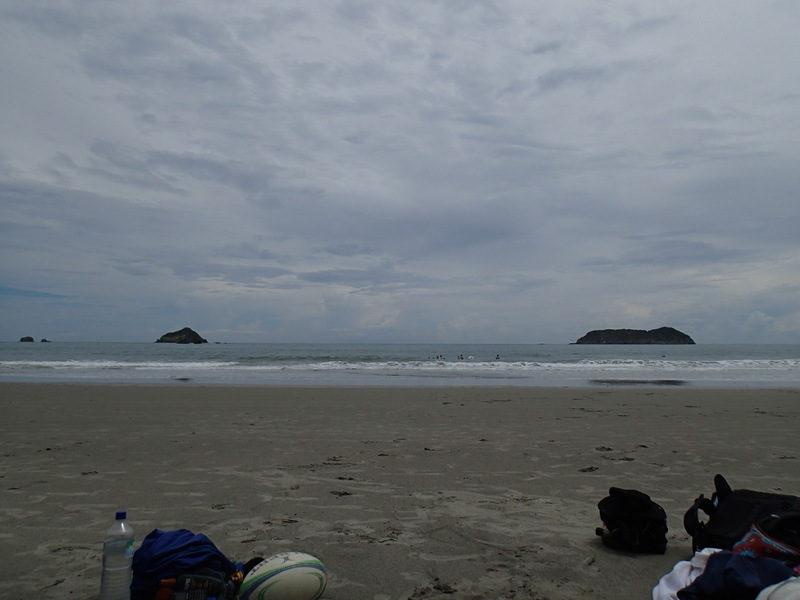 a semester abroad spent in Costa Rica, Nicaragua and Panama. 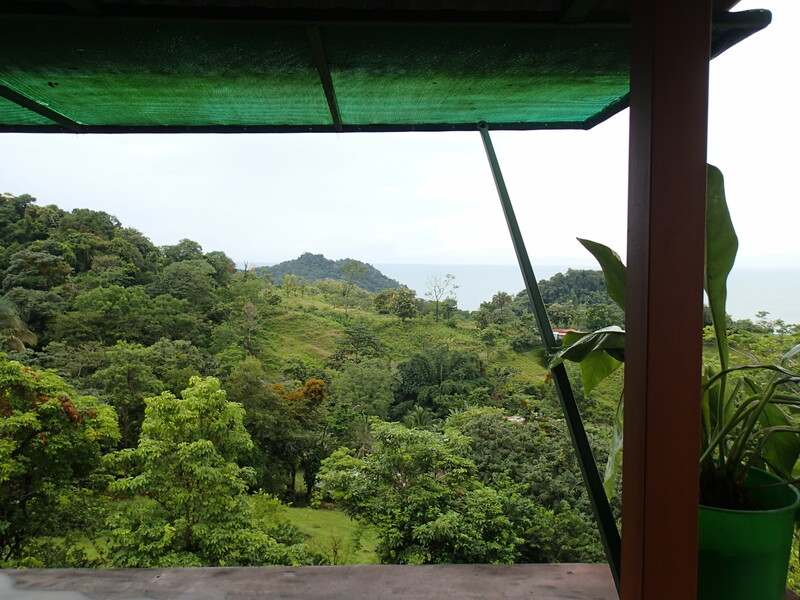 As our time continues to wind down, I find myself reflecting more and more on my adventures in Costa Rica. As each event comes racing back to mind, I can’t help but to remember when my dad dropped me off in the Columbus airport, handed me some money, gave me a hug and told me that he loved me and was proud of me. As I pretended not to have tears in my eyes or want to drive right home and not get on the plane, I stepped through the metal detector, grabbed a last cup of Starbucks and headed to my plane to embark on my adventure abroad. What a quick trip, it seemed. 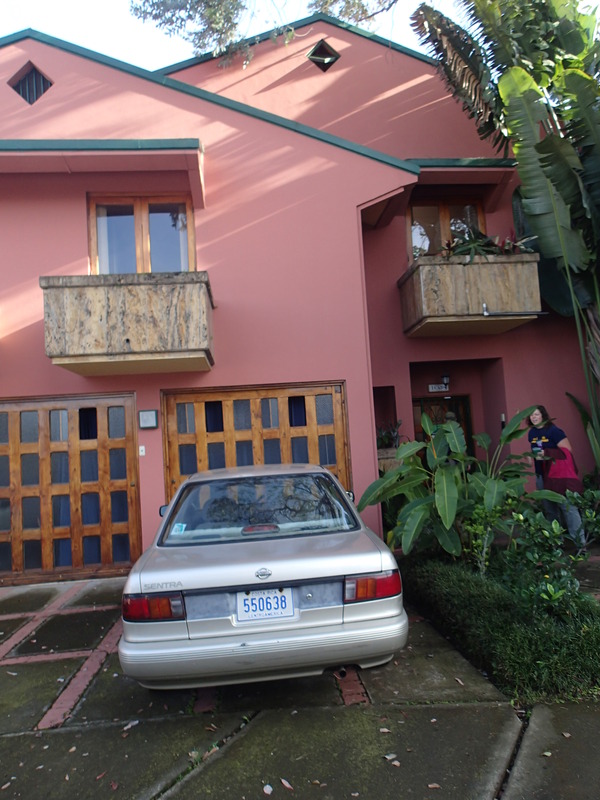 Soon I was arriving at my first homestay. 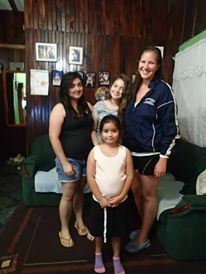 With little Spanish, an upset stomach and a pounding headache from nerves, I stepped inside and met my new family in Curridabat. We had our ups and downs and my Spanish got better and better. 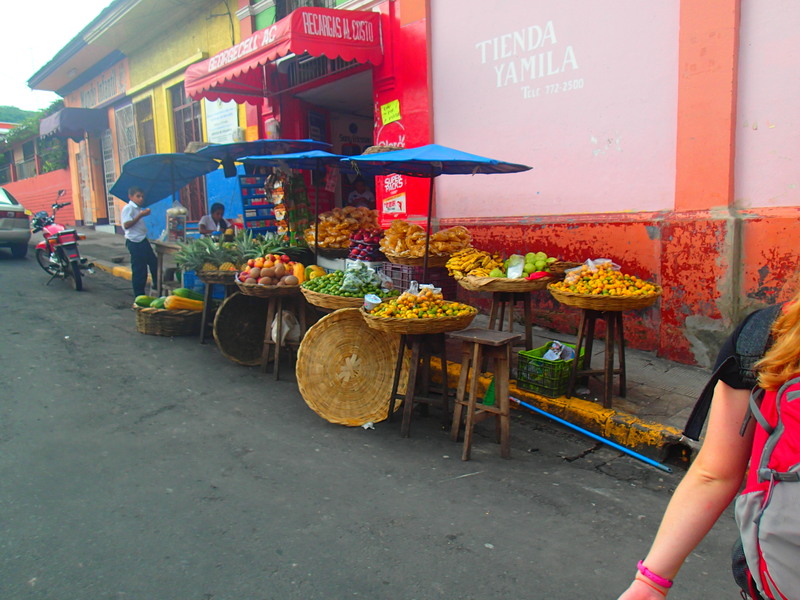 I settled into a routine and before long, I headed to Nicaragua for the trip of a lifetime. Oh, how that trip impacted me. My little family was just what I needed in that moment and for that I cannot be more thankful. 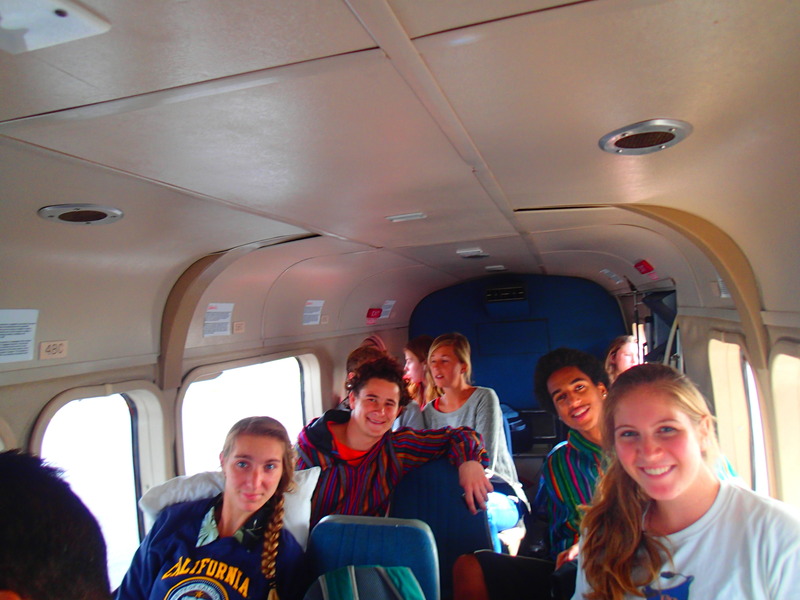 Soon, our time in San Jose wound down and the Pitzer clan headed to Panama for vacation… I mean class. What a fun adventure that was, jellyfish stings and all! 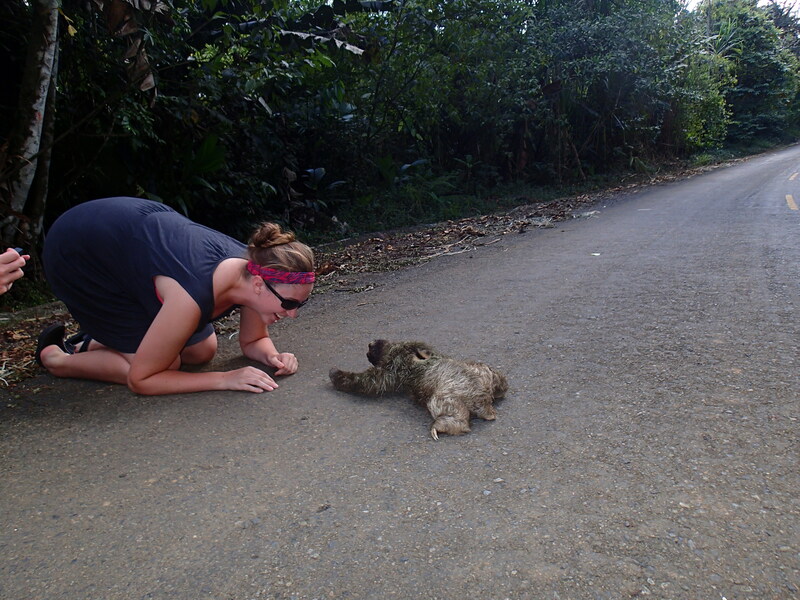 So many awesome memories from that trip: my very first sloth encounter, bioluminescence, and the best snorkeling of my life. As we began the second part of our trip and headed to our new homestays, I remember being so excited to meet my new family. I received most precious letter and picture from them and I knew I was going to love them. I was so right. After being here for 2.5 months, I can safely say that this will be one of the hardest goodbyes. My three sisters and mom and dad have made me feel like a part of their family. They have loved me, fed me and taken care of me when I was ill. They have taken me to a pig roast, a family birthday party, to the beach, to a pool, to church every Sunday, to the hospital in San Isidro when my dad was sick, to work in the kitchen at the church as well as to visit our various neighbors. Yet again, I am blown away and feel so blessed that these people have not only invited me into their home but also into their lives. As I continue to scramble to finish all of my work before their deadlines, I am going to try my hardest to appreciate all that is here. This family will forever feel like a branch of my own family and I hope one day, they can meet my real family. I am so lucky to have so many wonderful people in my life. Thank you to each and every one of you! 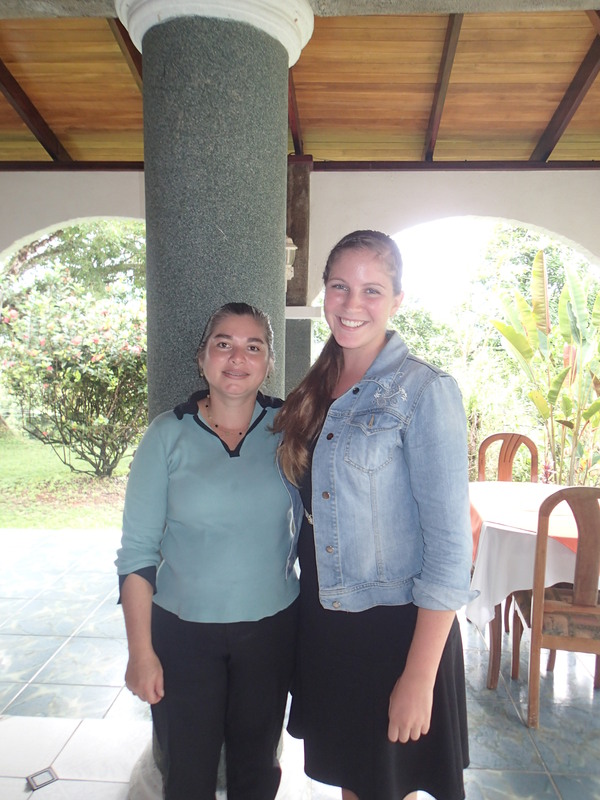 Stay tuned for the next update: Lessons learned abroad! Though we all knew that our time in Panama was coming to a close, we were less than excited to leave our island lifestyle. Even so, we packed up our things and shipped out early on Thursday morning after a late night of partying on another island. It was not the easiest trip I’ve ever made but we got it done! We were met at the airport by our program “mom” (director), Isabel and we were all so happy to see her. She is such a fantastic woman and we would be nowhere without her. We loaded up our bus and drove back to ICADS to pick up the rest of our belongings, grab some lunch and hit the grocery store before our 3 hour drive to Dominical. 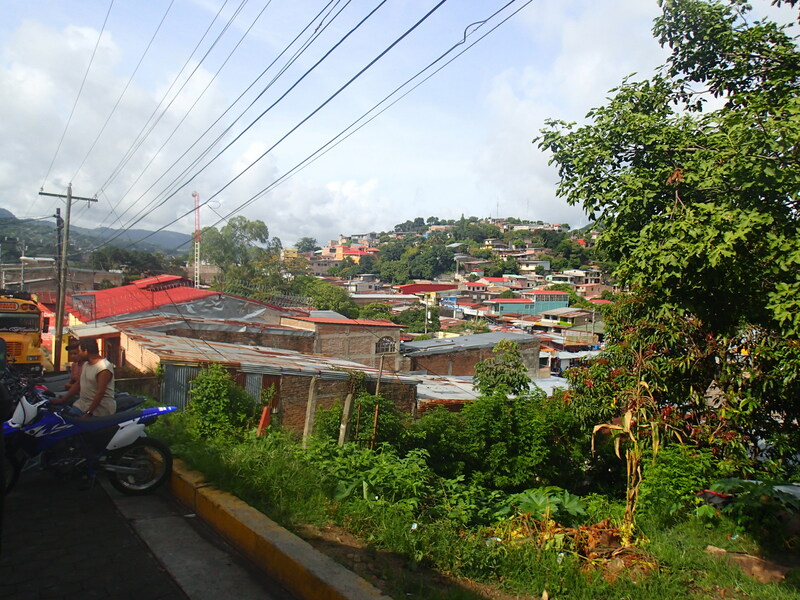 Dominical is actually the town where our new “school”, the Firestone Center, is. 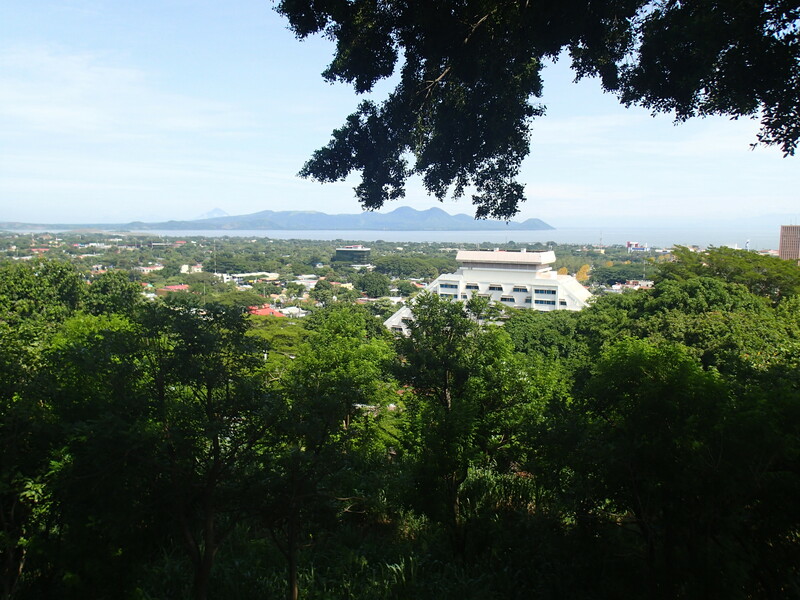 It is our school’s nature preserve here in Costa Rica. The 9 of us are actually split up in two towns. I, and 3 others, live in Platanillo. 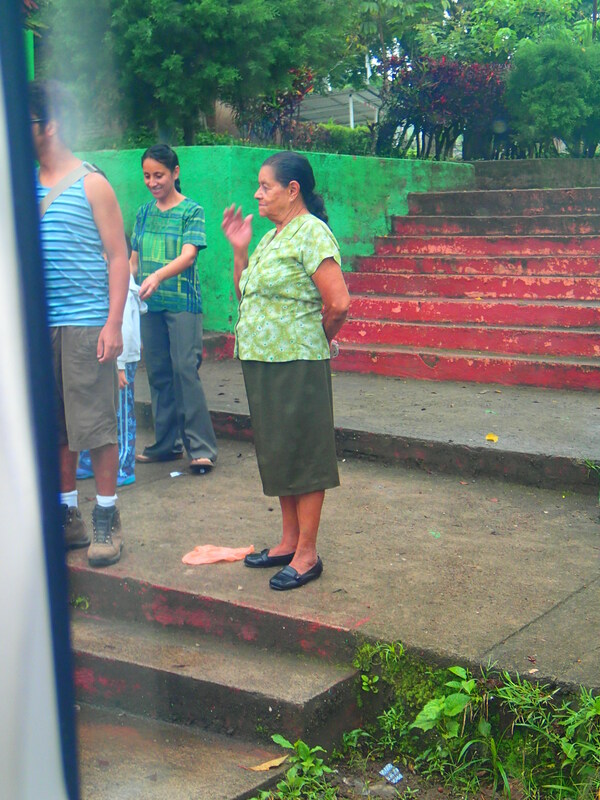 As we pulled up to meet our new families, I remember the first time came to Costa Rica and met my family. I was so nervous that I made myself sick and ended up sleeping through that initial dinner. This time, I was filled with excitement to meet my new family and could not wait to spend time with them. 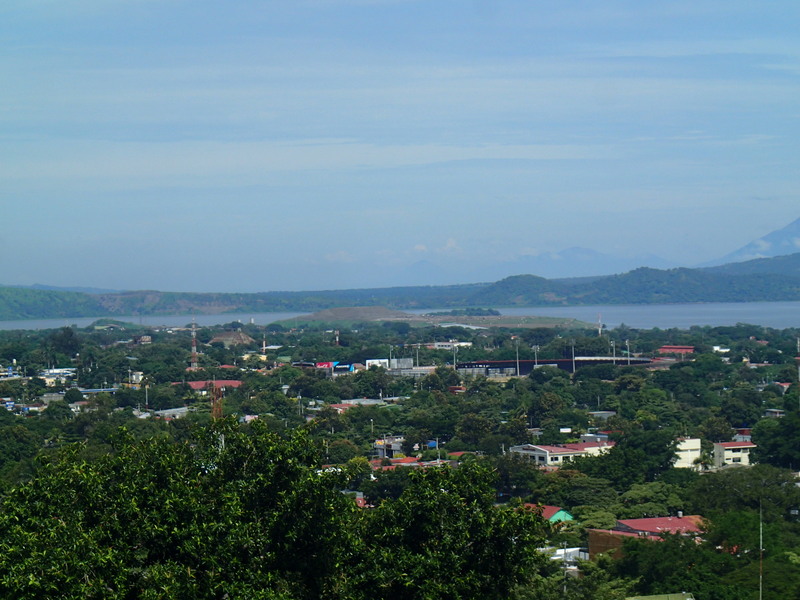 With each my family stays (San Jose, Nicaragua and here in Platanillo), the transition has been much easier and I have been able to pick up on more and more. My first morning we went to the kitchen at the church to help with the tamale making. Every 4-6 weeks, my mom helps make a big dinner that everyone comes and eats after church. My mom was there Friday for 5 hours, Saturday for another 4 and after Church on Saturday, we ate the tamales. They were SO GOOD. Wow! After making tamales, Jazmine was home from school and our dad was home from work, we loaded up the car and headed to the pool. I was expecting to go to a public pool but instead we went to a pool that I am fairly sure is owned by some friends of my parents. We spent a couple of hours there and then went to a family birthday party for a little cousin. As I was surrounded by about 30 new people, I couldn’t help but to think that 7 weeks ago, I could not have handled the situation. I would have quickly become overwhelmed. Instead, I was able to hang out with my sisters and our little cousins and though my Spanish was nowhere near perfect, my sisters were able to help me out and we all had a really fun night. 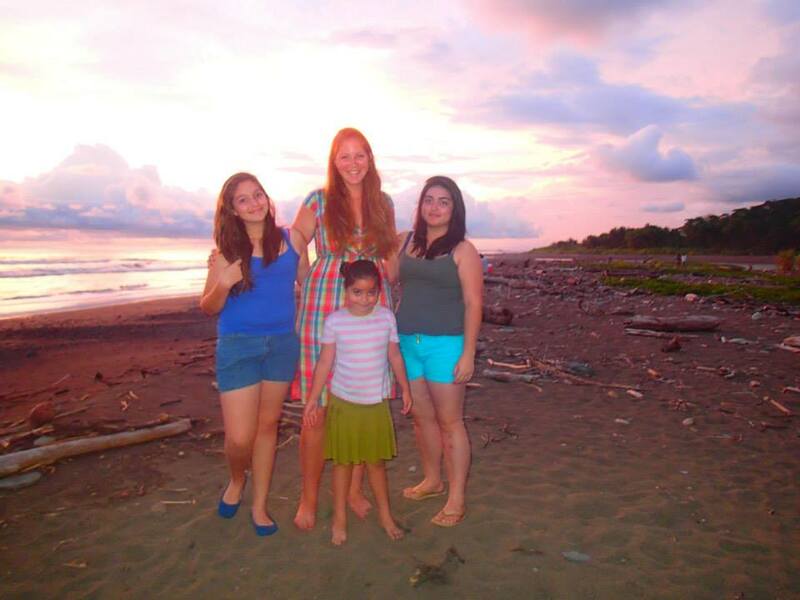 We also stopped by the beach and took a sister picture. 🙂 And of course, when we got home, we HAD to play some Uno before bed! After our 3 or 4 days of vacation, we loaded up 2 boats and headed to Bastimentos Island, bound for “La Loma,” a beautiful eco-lodge owned by 2 fabulous Pitzer alum, Henry and Margaret, as well as their 5 year old son. 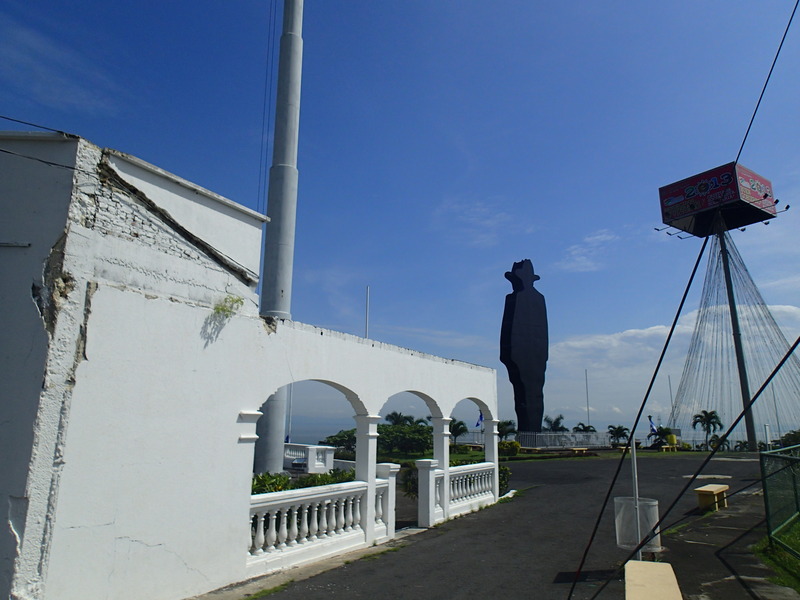 “La Loma” in English means “the hill”. 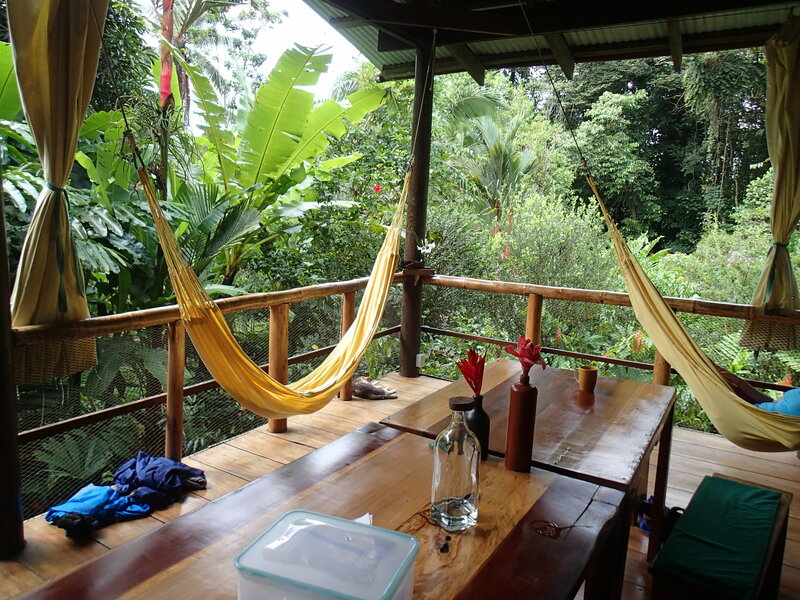 The lodge is built on a hill and consists of 4 main cabanas built into the trees, as well as the main cabana where the kitchen/restaurant are located. Henry and Margaret have created an incredible oasis away from the town and built with nature instead of against it. 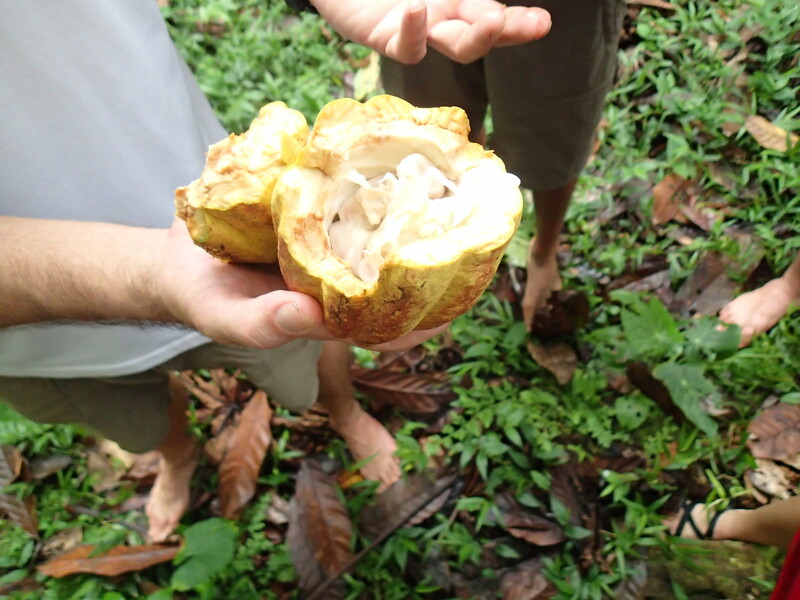 They have a farm that they run within La Loma with cacao plants, chickens as well as other produce. Getting to know Henry and Margaret was so great. They are such a fun pair to know and it was soo cool that they were Pitzer alum. Perhaps even more cool was that they have made such a wonderful life for themselves and their son and it has very little to do with either of their majors. It is so nice to know that even after graduating college with a major and somewhat of a plan, you can change it at nearly any time and make an incredible life. It was also at La Loma that we started class in Panama with Cheryl Baduini. She was such a fun professor to work with. 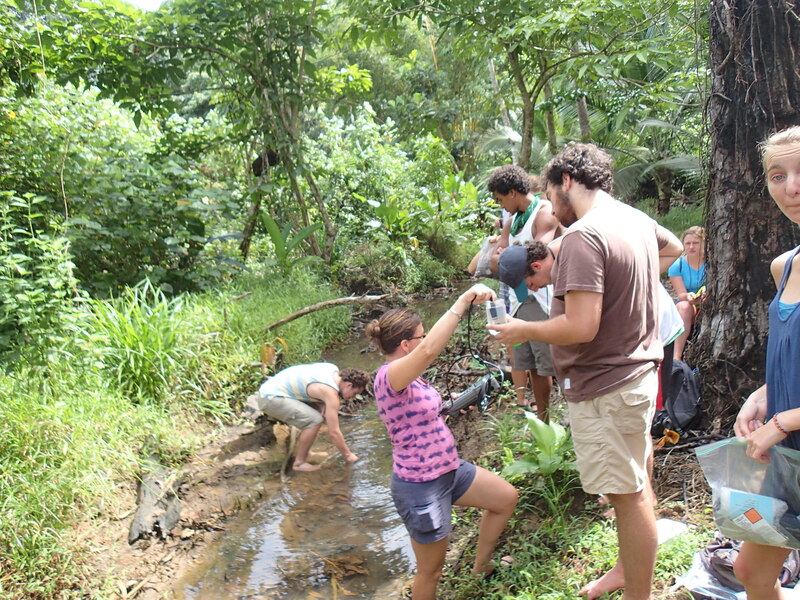 We started by testing water quality in various places within La Loma. 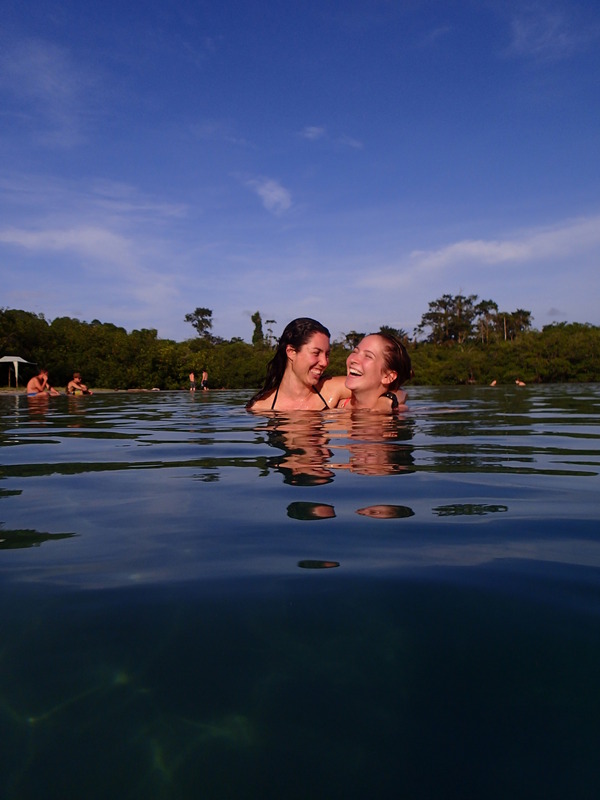 We also went to the beach to play after class… rough life we had. 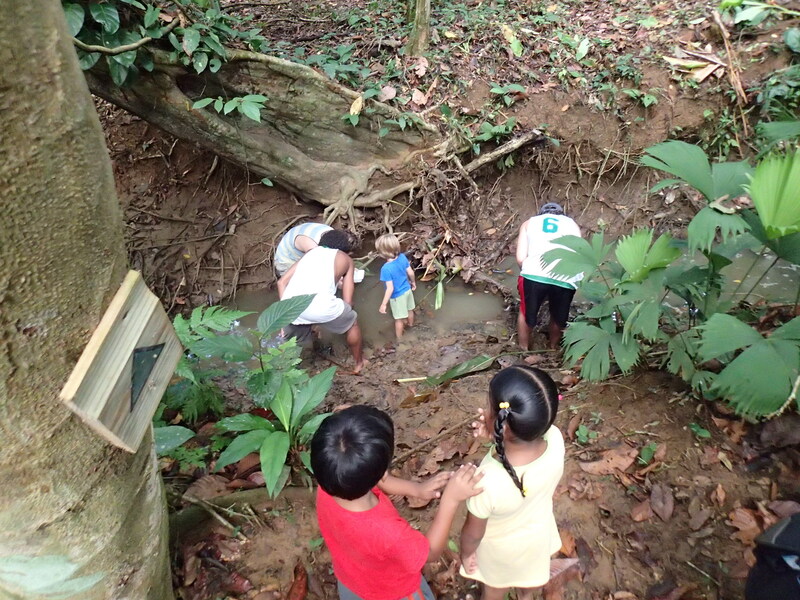 On our last day based in La Loma, we toured the school where Henry and Margaret’s son attends, toured the nearby Mangroves and tested the water quality and finally hiked/swam through a bat cave. What a wild experience! This school has areas for teaching Kindergarten through 9th grade. It is humbling to see this school in comparison to those I have had the privilege of attending. Nicaragua was a life changing adventure and an experience that I will never forget. Though this post has been ready on my computer for MANY weeks now, I have been slow to publish it simply because I don’t feel like I am able to capture the magnitude of my 6 days. I decided, though, that I’ll never be happy with this post so today is the day! 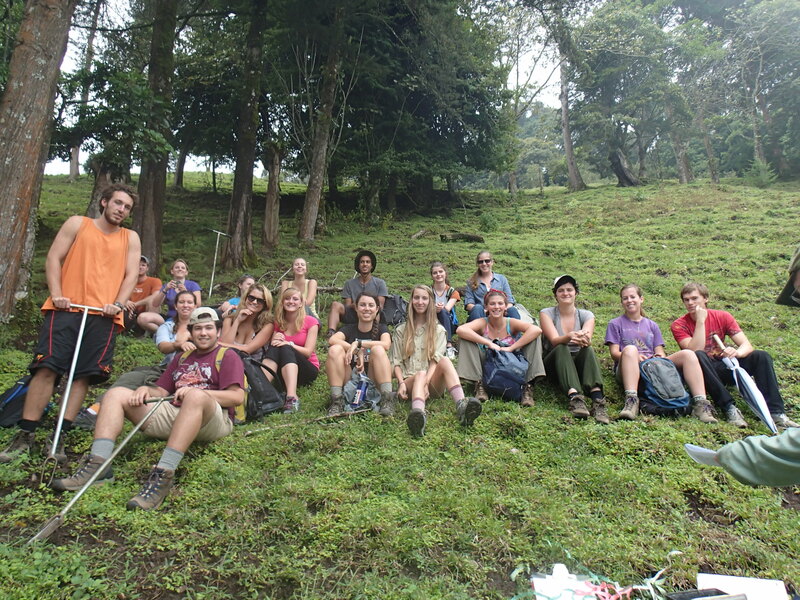 After spending a short 2 weeks in Curridabat, Costa Rica, my school (ICADS) took a 6 day field trip to Nicaragua to explore the culture as well as examine the differences and similarities between Costa Rica and Nicaragua. It is incredible that though the two countries border each other, they are two very separate worlds. I will always cherish my Nicaraguan family. Though I was there for 4 short days, their impact on my life was massive. My mother was 73 and was one of the most loving and welcoming people I have ever met. She lived in the same house that she was born in, grew up in, and had her family in. Her husband passed away 6 years ago and now she is raising her 5 year old grandson, Steven, with the help of a live-in nanny. Steven’s mother is somewhere in Spain currently and from what I gathered, she went there because of job opportunities. 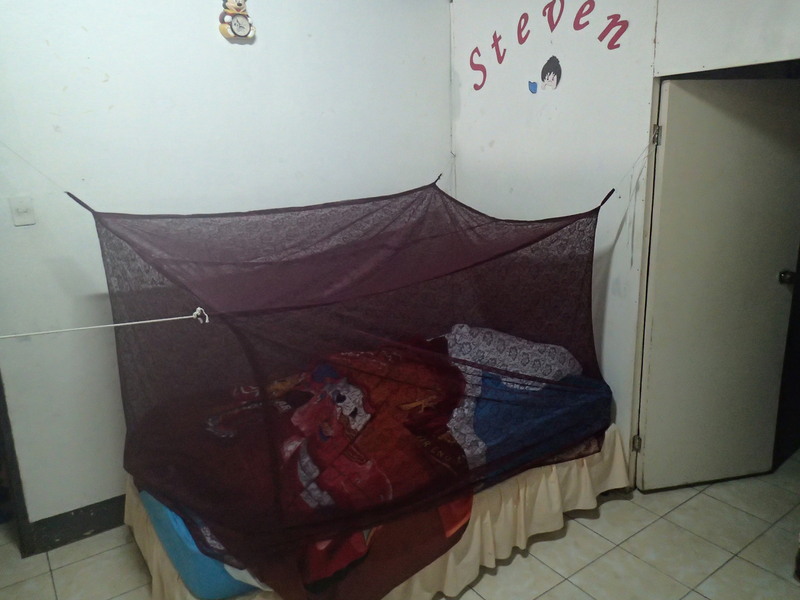 Steven does not remember his mom and knows her only through pictures- she left when he was less than a year old. I am still unsure if she left because there was no work in Nicaragua (this is not unusual in the least) or if she left in order to start over since she had a baby at such a young age. It could also be a combination of the both. At that point, my Spanish was fairly lacking and so my comprehension was pretty low. Also any time my mother and I had a serious talk, torrential rain was pounding into our tin roof. Seriously. Every. Time. 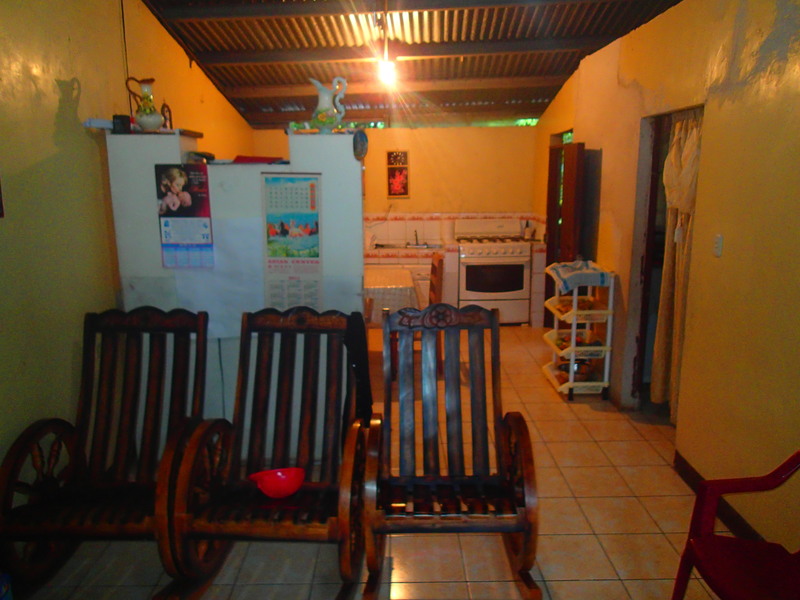 Our house was minimal- our walls did not attach the roof so even though there were walls and door to separate the different rooms, it was all under the same roof. 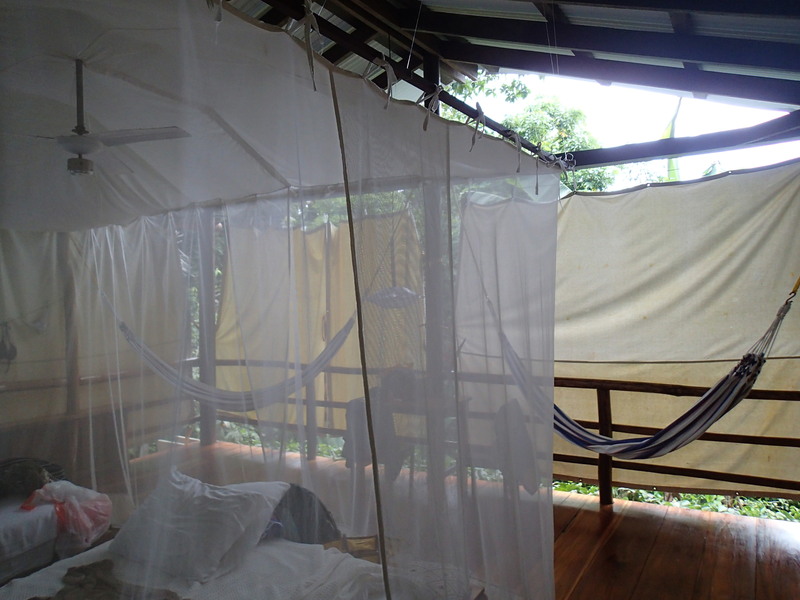 We also each slept under our own mosquito net- a commodity I greatly appreciated. Even so, I got SO many bites. Perhaps the most interesting and economically telling aspect of the house was the shower. While there was an area that was clearly supposed to be a shower, the shower head did not work and there was never any hot water. Instead, there was freezing cold water which came from a faucet that poured into a trash can bin. In the bin full of water, there was a scoop so that you could pour the freezing cold water on yourself to wash. This worked if you were willing to wash one extremity at a time and place the rest of your body into the wrath of the various mosquitos that hung out in the shower waiting for the moment you least expected a bite. 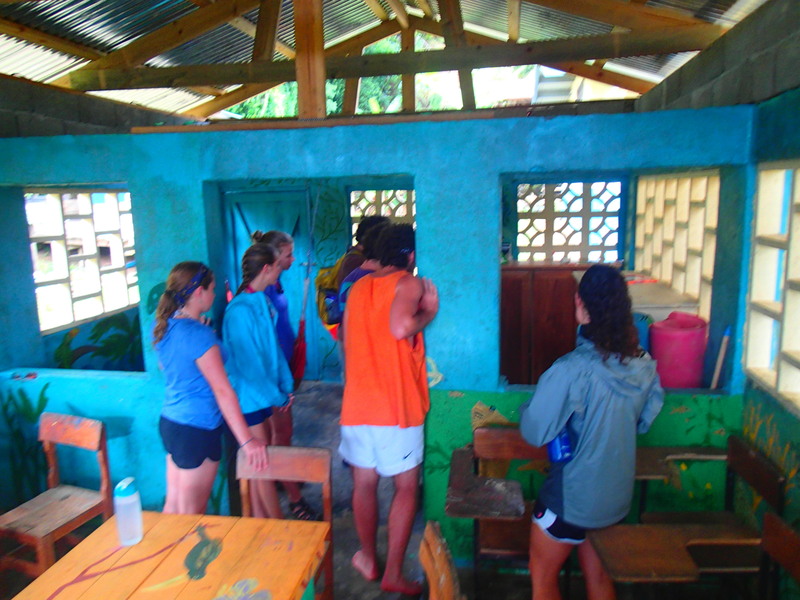 Among many other lessons, this trip made me appreciate indoor plumbing, hot and potable water. Our living room- loved the rocking chairs! Many times, when people would get home late, they would come over to our house for a hot meal and access to TV. This trip was incredible, although very hard for a lot of people. Many of my friends got extremely ill from unknowingly eating food that had been washed by contaminated water. It was also hard for each of the families we stayed with. Though they were paid, I am sure that it is not easy to open up your home to a stranger for 4 days and offer up all that you have to them. With that said, this trip was truly the perfect example of happiness without wealth. 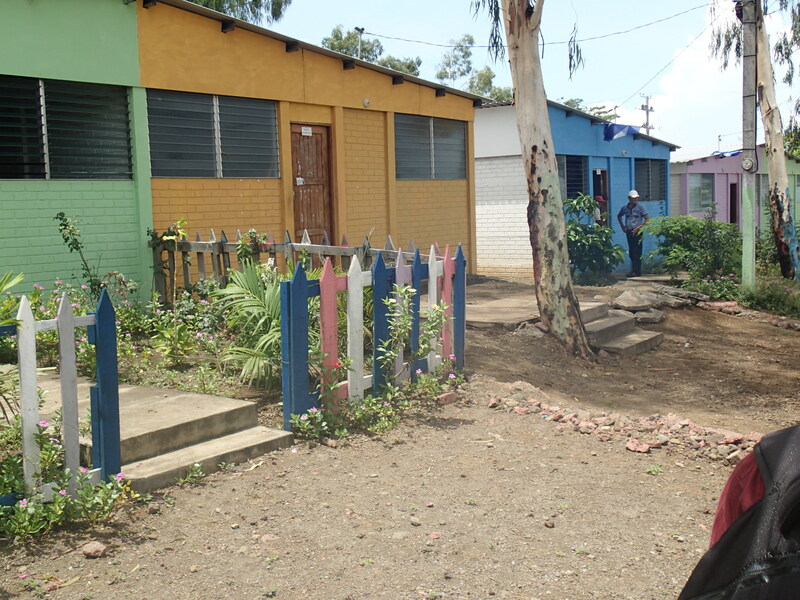 Our Nicaraguan families had so very little, and yet they offered everything they had to us and were most importantly, some of the happiest people I have ever met. My mother was so sweet, loving and welcoming to all who entered her home and for that I will forever be thankful. Even remembering her now brings tears to my eyes. How lucky I am to know her. 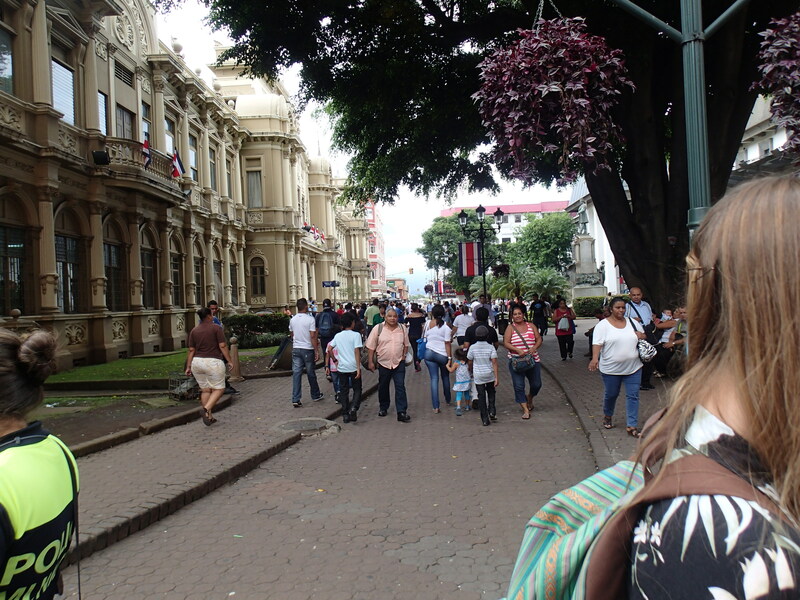 I learned so many things about Nicaragua, about the people who inhabit the country and about myself. It was a beautiful, hard, eye-opening and life changing experience. 6 days of my life that I will never forget. Headed back home to Costa Rica. 19 hour ride. 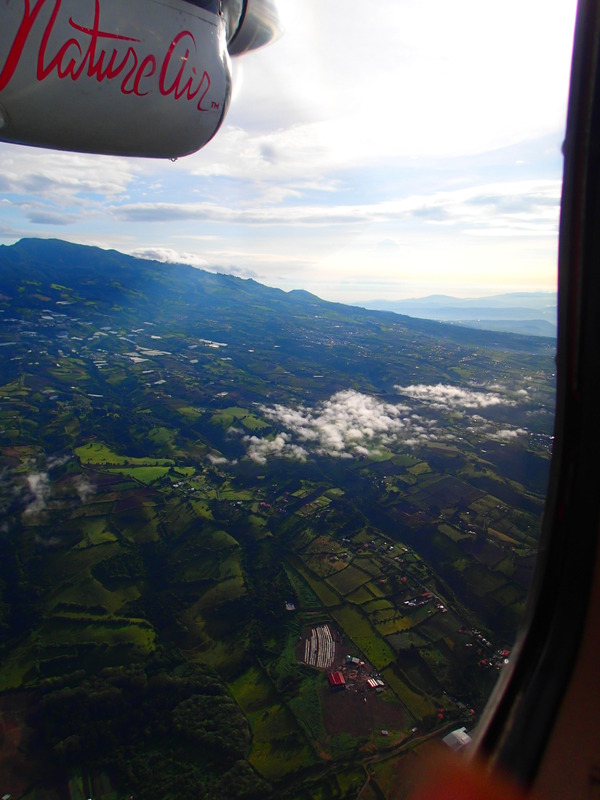 Re-entering Costa Rica. 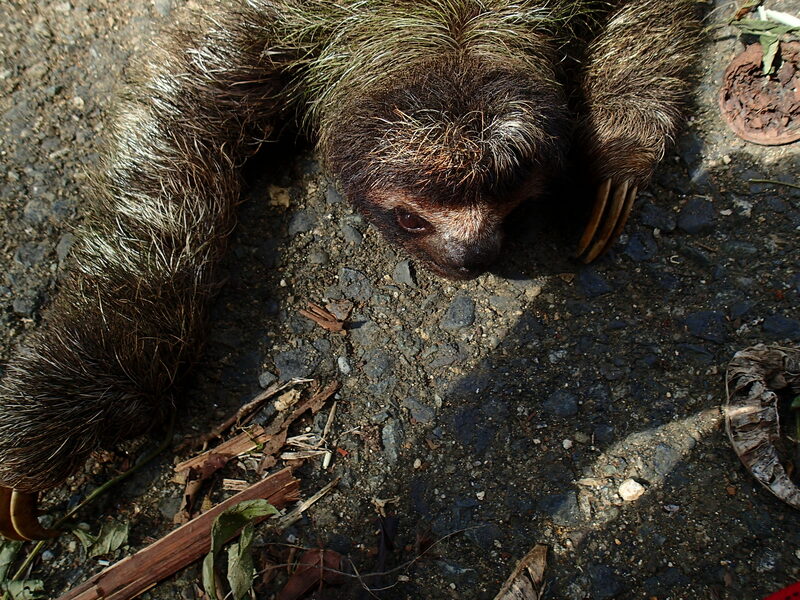 Until next time, Nicaragua…. During our final week at ICADS, we talked so much about how we only had a few more days to get through until our trip to Panama. Well, the day finally arrived when we packed up our things, said goodbye to our wonderful families in Curridabat, Costa Rica, and left at zero dark thirty for a small, remote airport. After filling out our paperwork to head to a new country, we loaded our plane barely big enough for all 10 of us, 2 pilots and 3 other people, and with no discussion of buckling seatbelts, turning off electronics, or safety talks, we headed down the runway. 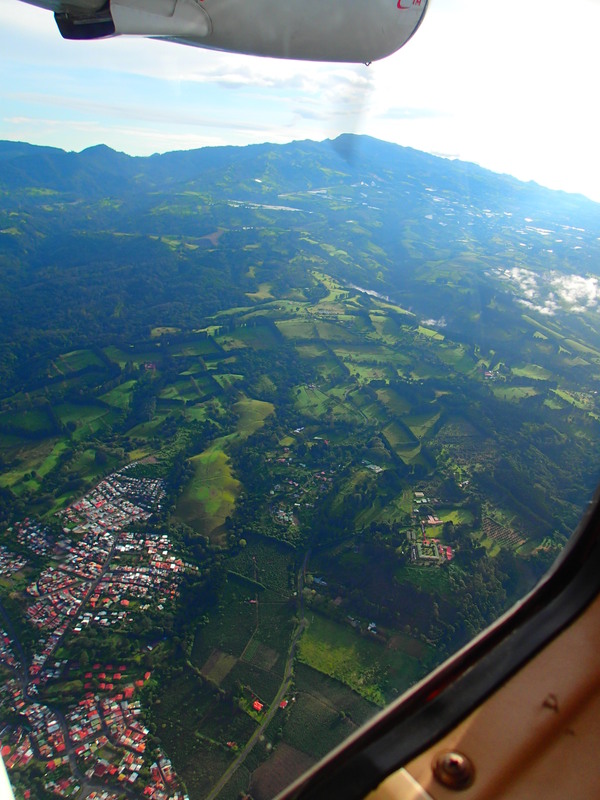 Let me tell you- Costa Rica is an incredible country when you’re on the ground but when you are in the air, you get a better sense of how beautiful the whole thing is. How lucky we are to be here. 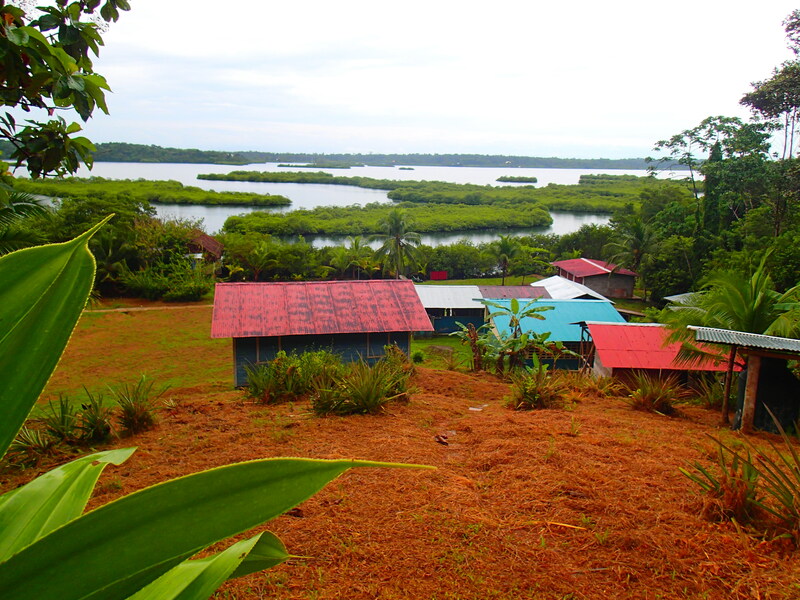 Though we reveled in the hundreds of variations of green, when we saw that blue, glistening water of the ocean around Panama, we could not have been more ready to jump out! 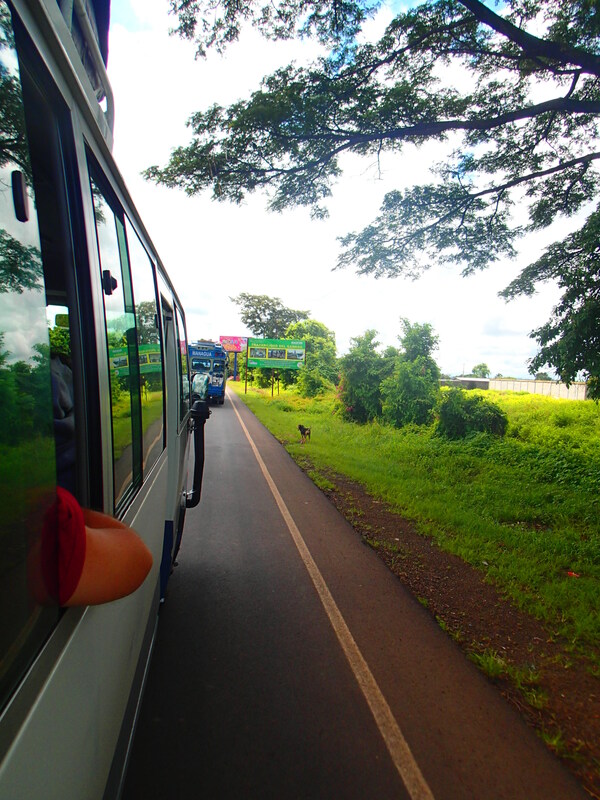 We landed on a tiny airstrip, just off the water and after a 5 minute bus ride to our hotel, disembarked. 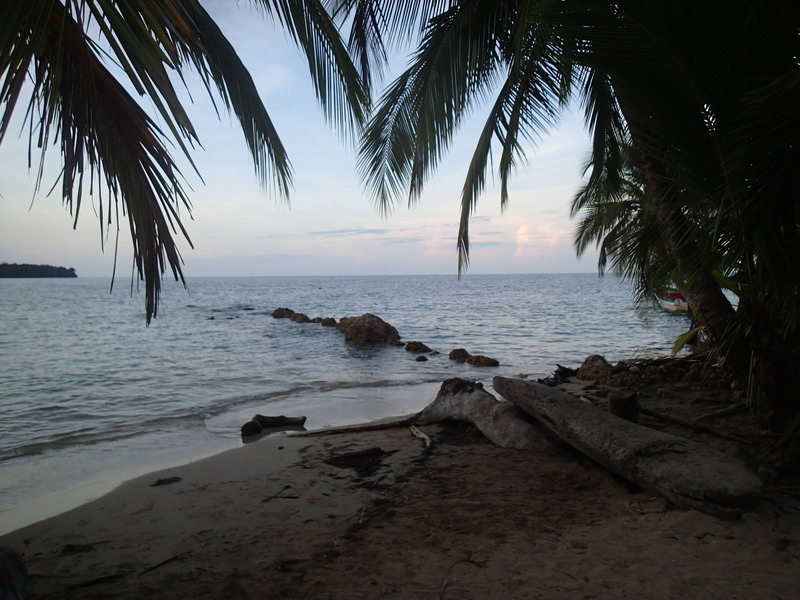 We had finally arrived in Bocas del Toro, Panama. Unfortunately, my (and several others’) bag couldn’t come by air and so I was stuck with the same pair of comfy clothes all day, good for travel but not so conducive for jumping into the water off of the restaurant of our hotel. Instead, I settled for taking a nap in a hammock over the water. Actually two naps! 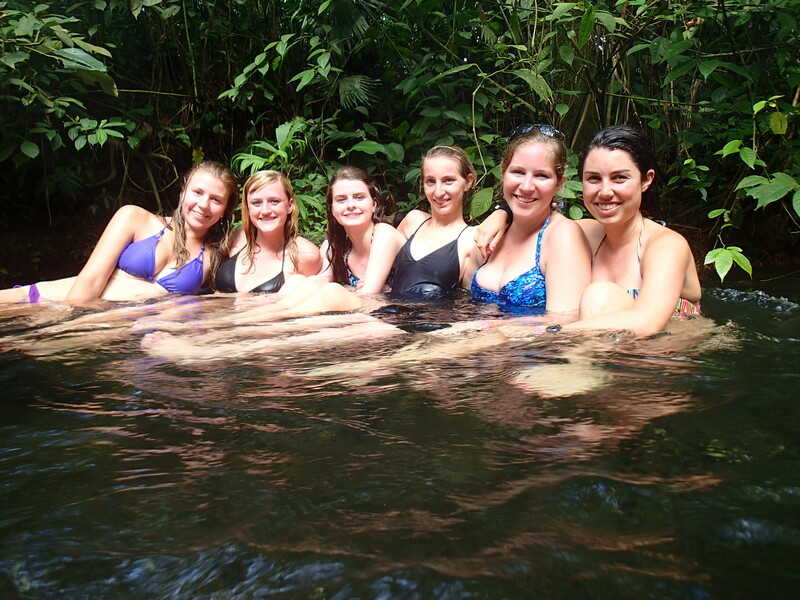 Our time in Bocas town was great and we were all ready for some time to relax. We were able to spend time by ourselves, skype our families when the internet worked and experience some of the coolest things in life. Our first full day was spent sleeping in past 8am, eating a delicious breakfast, swimming off of our hotel, venturing into town for some lunch and then relaxing at one of the most remote beaches to which I have ever been. This moment is for sure in the top 10 coolest things/major events in my life. After spending a good 10-15 minutes on the ground, I was convinced to get up out of the middle of the road, get back into the vehicle and continue on to the beach. Let me tell you, it was worth it. That night after a delicious dinner in Bocas Town, the owner of the hotel took us and about 10 other people out on the boat to see one of the coolest things I have ever seen. This also goes in my top 10 experiences of my life. Bioluminescence. According to Wikipedia, “Bioluminescence is the production and emission of light by a living organism. Bioluminescence occurs widely in marine vertebrates and invertebrates, as well as in some fungi, microorganisms and terrestrial invertebrates. Bioluminescence is a form of chemiluminescence where light energy is released by a chemical reaction. Fireflies, anglerfish, and other creatures produce the chemicals luciferin (a pigment) and luciferase (an enzyme). The luciferin reacts with oxygen to create light.” I wish that I had gotten pictures but even so, I am not convinced that they would have captured that moment properly. My camera is pretty cool but it’s not that cool! Here are so pictures I pulled of google just to give you a bit of an idea…. I was admittedly apprehensive to jump into the dark water but after the first person jumped in and was in awe, I had to. 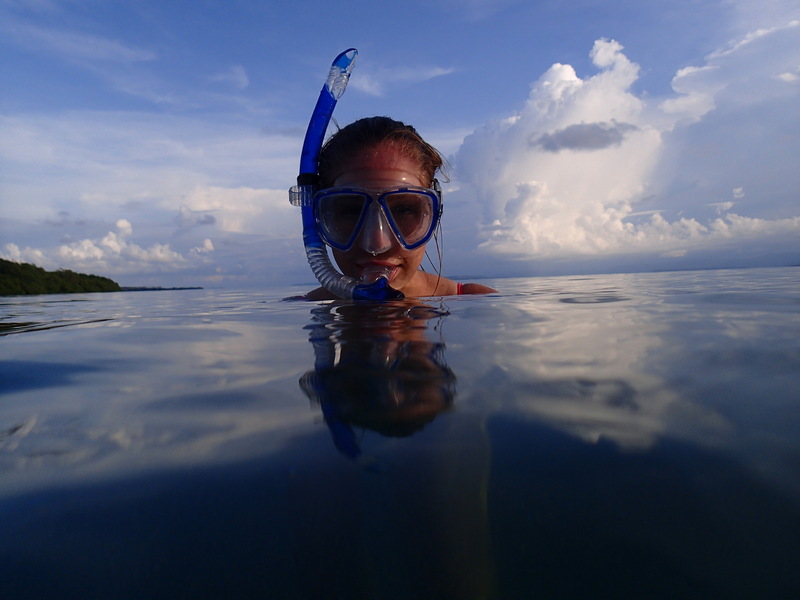 I threw on my snorkel and barely had enough time to take off my cover-up. WOW. Just thinking back to that initial moment I can’t help but to smile. Picture this: you dive off of a boat into water as dark as the moonless sky, open your eyes and the wake from your body lights up like the stars. As you dive deeper, you look back to the surface and the area that has been disturbed by your movements is flashing like thousands of fireflies dancing in the depths of the ocean. I wished that moment could last forever but unfortunately, I needed to breathe (darn) and so came back to the surface, gasping and trying to explain what happened while my friends all did the same. After some time, we loaded back into the boat and drove over to the shallow reefs where the whole thing was lighting up. What an incredible moment. I hope to be able to do that again sometime. The next day, we met our new professor who would be with us for the next week and a half. I knew she was going to be great when she jumped right in the water with us and was down to hang out. We chilled around our hotel and did some light exploration of the various marine life below us. That was only the beginning of what was to come! So I am really bad at maintaining this blog! I figured that I would struggle, as I was never able to keep a diary as a child, but I did not think that I would be sitting here trying to catch up on the past 4-5 weeks of my life. I suppose that doesn’t sound like much time, but in actuality I have done experienced so much. After much pondering, I have decided that short posts (which knowing me will not be so short) about each major life event are in order. I also have A TON of pictures from most places we’ve been and so it is possible that I will have to make extra posts for that. 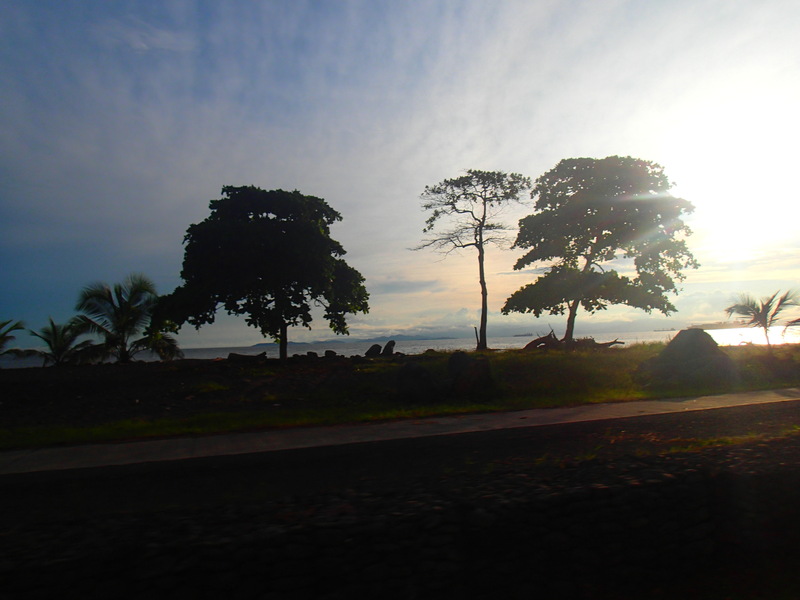 Sunset over the water on after reentering Costa Rica from our 6 day trip to Nicaragua. I have officially been living abroad for 6 weeks as of today! As I reflect on the past couple of weeks, it becomes more evident than ever that I am an extremely privileged person. Among many other gifts, I have been so lucky to have such a supportive family who encourages me to pursue my dreams and goals and challenge my fears. For that I will be forever thankful. This experience abroad has taught me so much about myself and has also changed me quite profoundly. Just when I needed a break from traditional school and the pressures of college life, I fell into this study abroad opportunity. I actually applied 3 months late, not knowing much about the program or anyone in it, going in only knowing that I could get credits for both of my majors. Perhaps it was that I came in without much information or perhaps it was that I had reached the point in my life when I would fully appreciate my time abroad, or as I like to believe it was the combination, but this experience has over exceeded my expectations ten-fold. I feel so lucky to know each and every person I have met along the way and I am SO grateful for the amazing group of people with whom I get to experience every day. My experience abroad thus far is short in comparison to the actual length of time I will be here but I feel as if I could go home now and be completely fulfilled. Knowing that I have so much more time is a beautiful gift and I could not be more excited to embark on my new adventures. 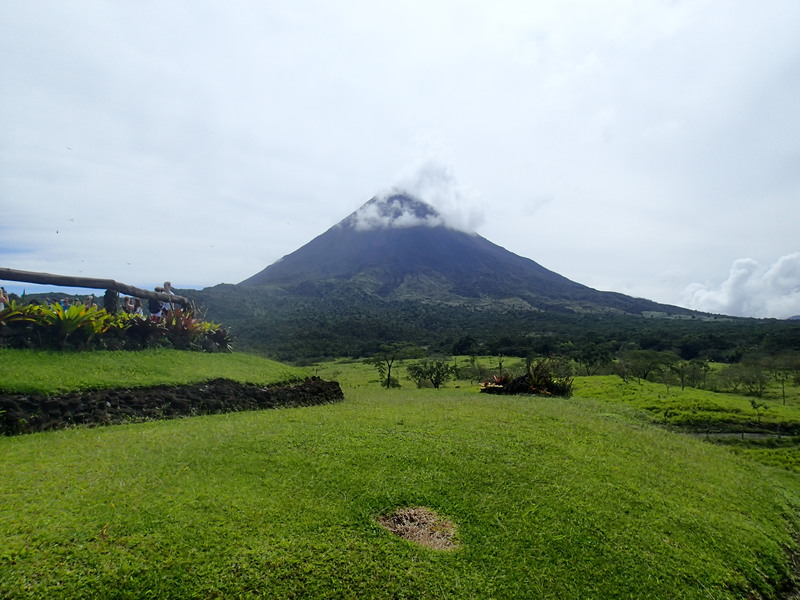 Volcan Arenal in Costa Rica on a weekend trip with the crew. 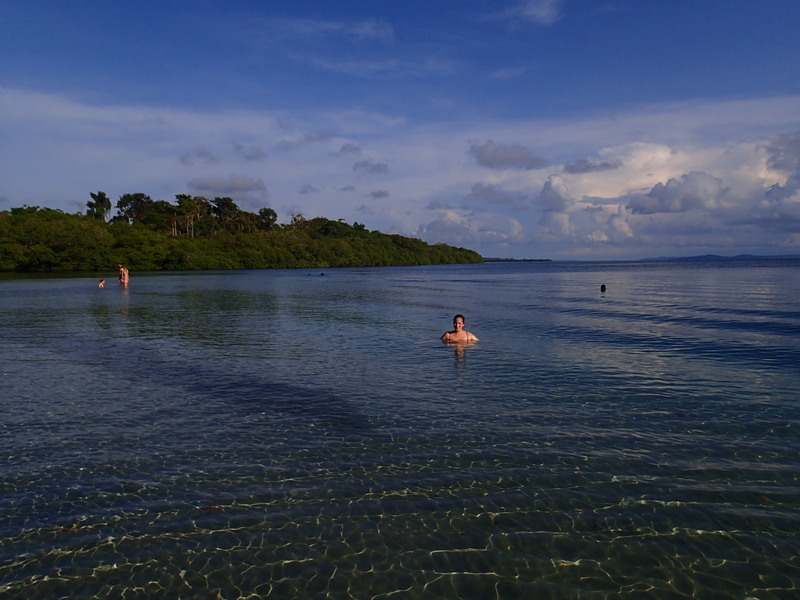 I am currently in Bocas del Toro, Panama, working on my Marine Biology class following a few days of vacation. I have finished my time at ICADS and with my first homestay family (whom I was so sad to leave! 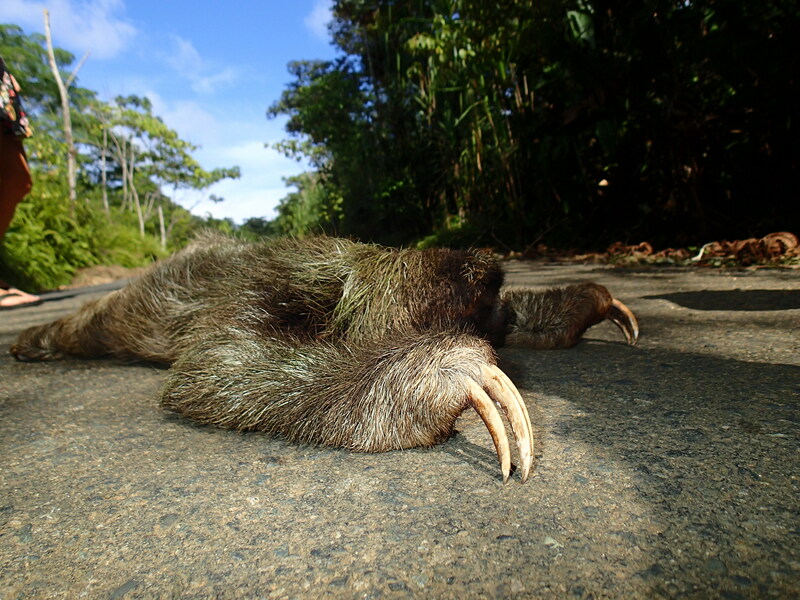 ), I have now lived in 3 new countries: Costa Rica, Nicaragua and Panama, I have been to some incredible places in Costa Rica for vacation and I am getting ready to head to Platanillo, Costa Rica, to live the rest of the time with a new family and begin work on Pitzer’s nature reserve. I will try my best to capture the essence of each of the places I have been knowing full well that it is nearly an impossible feat. The people who I have called family and the places I have experienced will forever remain in my heart and I hope someday to return. As always, if you have any questions or want me to elaborate further, please let me know and I will do my best! 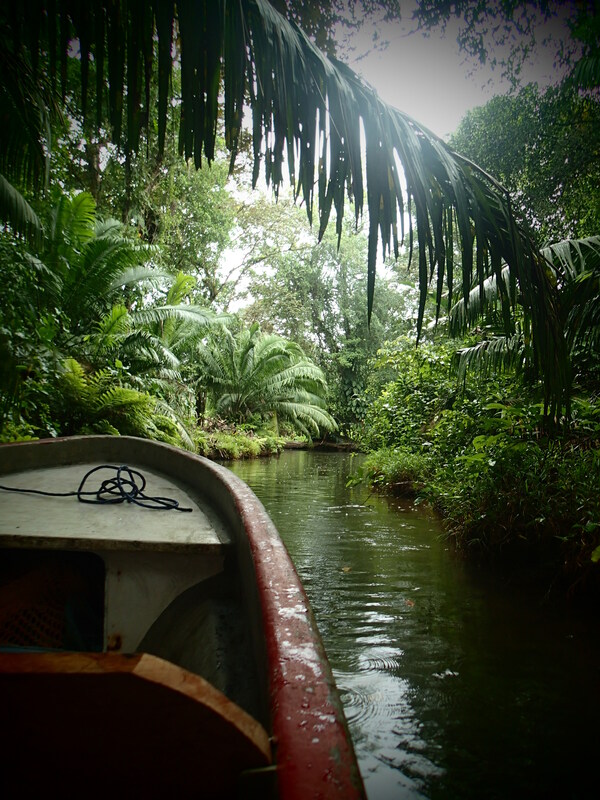 Embarking on our adventure through the Mangroves to get to the cave. Last week was our first week of school. We (the group on the Pitzer program) met all of the other students who also attend ICADS and they could not be more fantastic people. I am so thrilled! Our days at school consist of 2 classes: intensive Spanish in the morning from 8am-12pm with a short coffee break and then lunch from 12pm-1pm. 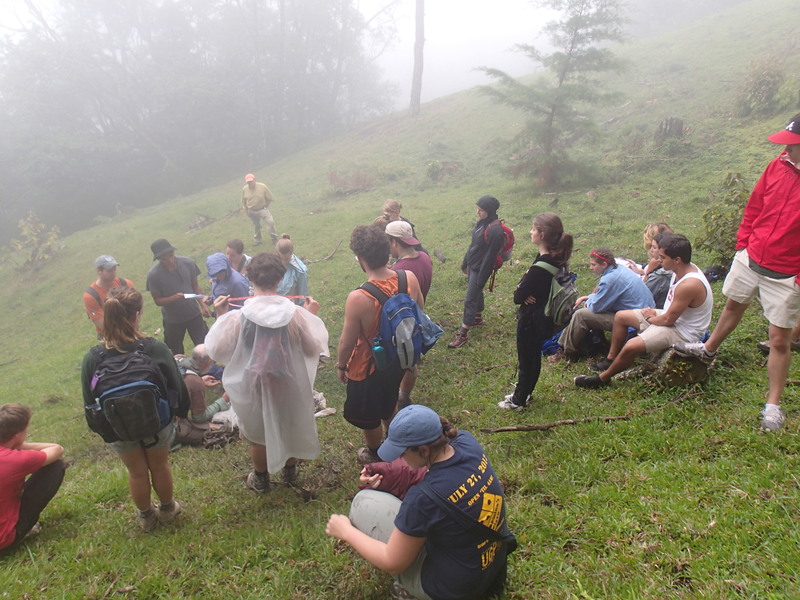 From 1:15pm-5pm, we have our combined economics/sociology class that examines Costa Rica through a historical, environmentalist, sociological, critical and thoughtful microscope. Really cool stuff. The afternoon professors split us into teams on one of the first days and sent us on a scavenger hunt in San Jose (two towns over from Curidabat where we live and go to school). San Jose was really interesting, though I’m glad that we don’t live right in the city. This is a picture of downtown San Jose. 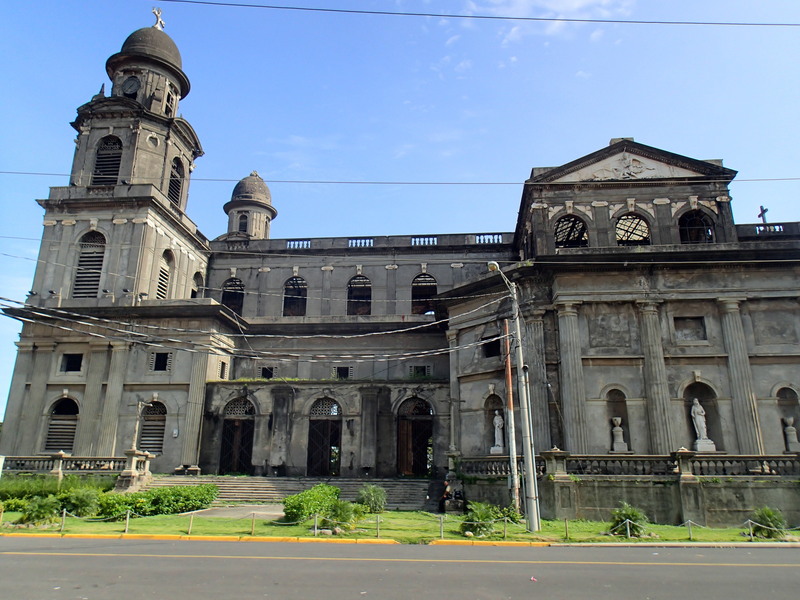 This is a picture of the front of our school, ICADS. More pictures to come on this beautiful place! 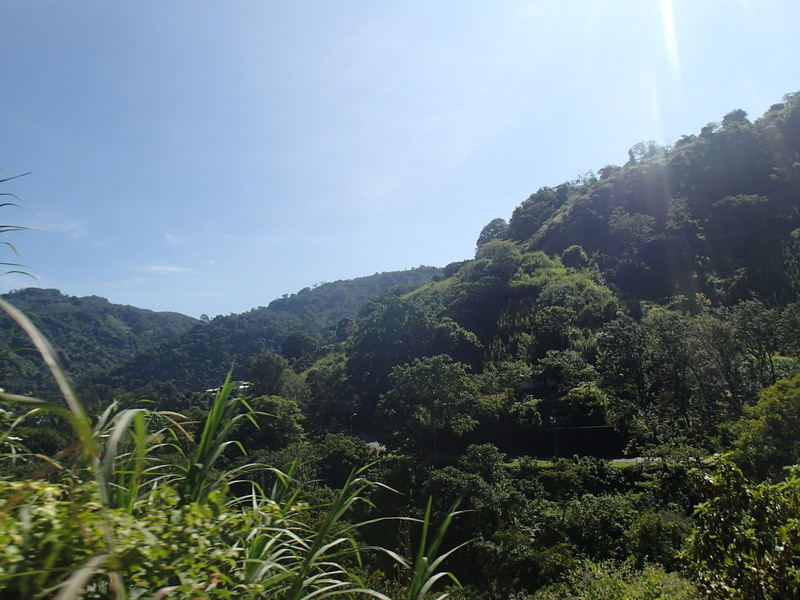 The above picture was taken just before we departed on Friday morning for our coffee plantation field trip. It was such a beautiful drive up into the mountains. 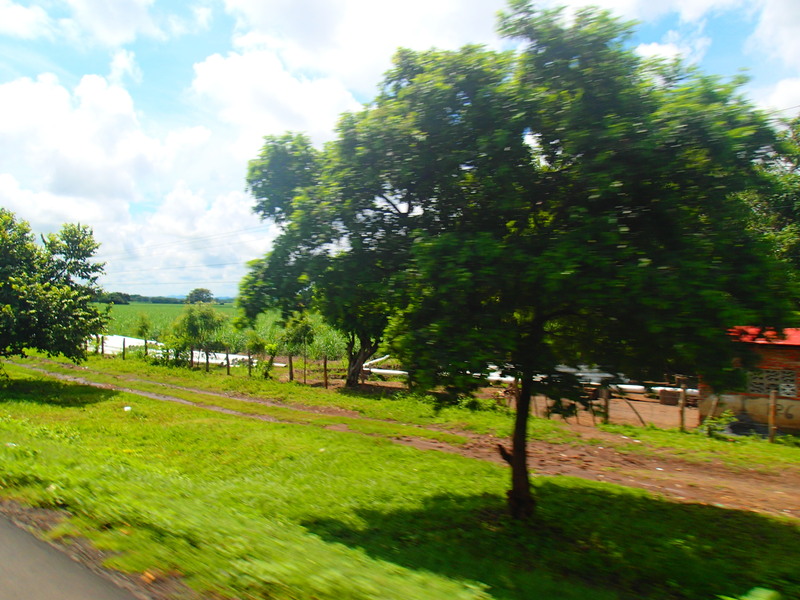 I really cannot get over how green and lush all of the vegetation is. Driving up into the mountains. The first stop was to look at the way the organic coffee is grown- under shady trees (mostly) and surrounded by natural vegetation. Chickens also roam around underneath! 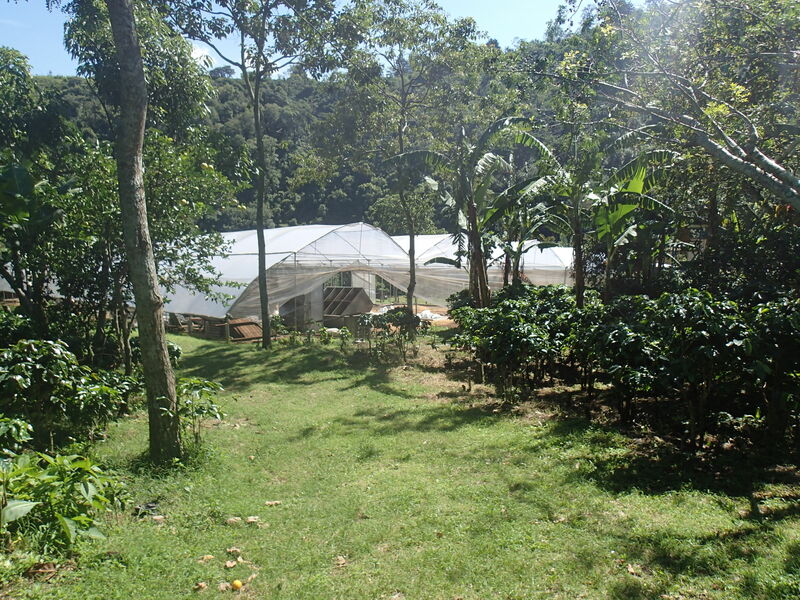 This is a picture of some of the coffee plants, the other surrounding trees and the new drying shelters that allow the owners to dry the coffee beans even when it’s raining. 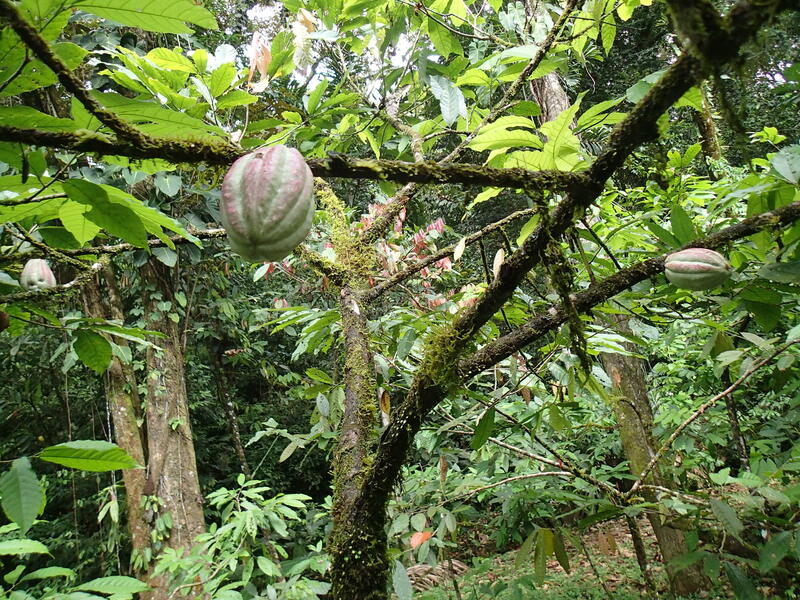 Close to ripe coffee fruits, right off the plant. After visiting this portion, we went further up into the mountain to do some field work testing soil quality and to eat a delicious lunch. Presenting the findings. 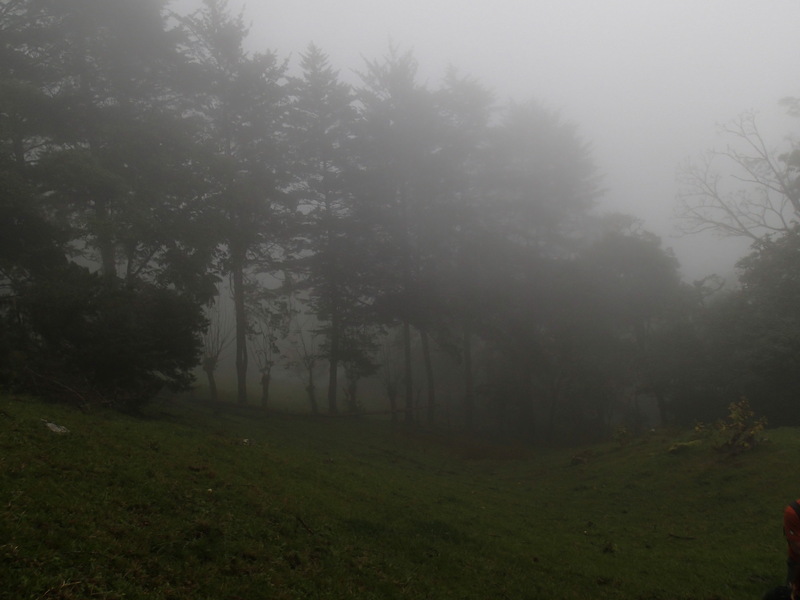 In the afternoons up in the mountains, fog rolls in and is accompanied by rain. One of my favorite pictures yet. 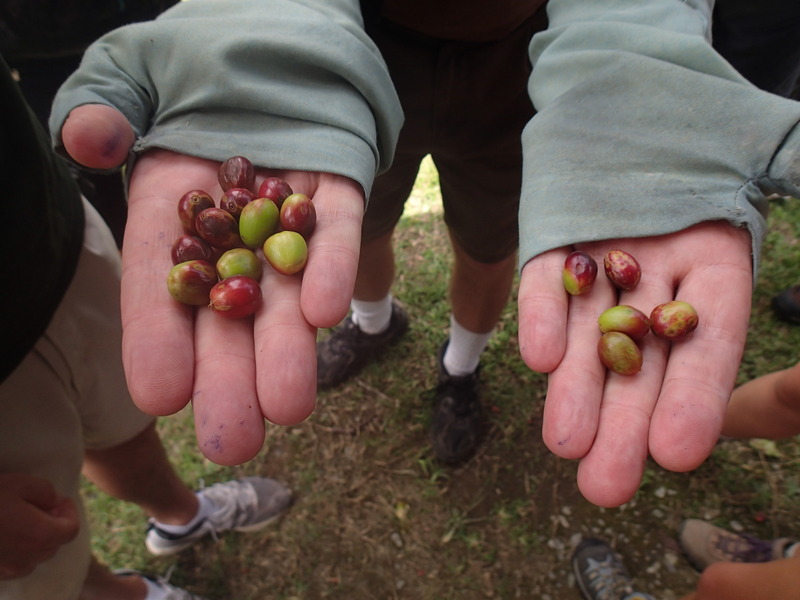 Throughout the day, we were able to essentially follow the life cycle of an organically grown Costa Rican coffee bean and see how it gets developed over time. This was really an incredible day and I may do a separate post at a later time explaining the different steps. Let me tell you, the coffee we tasted at the local coffee store was deeeelicious!! The beautiful view from the hostel. 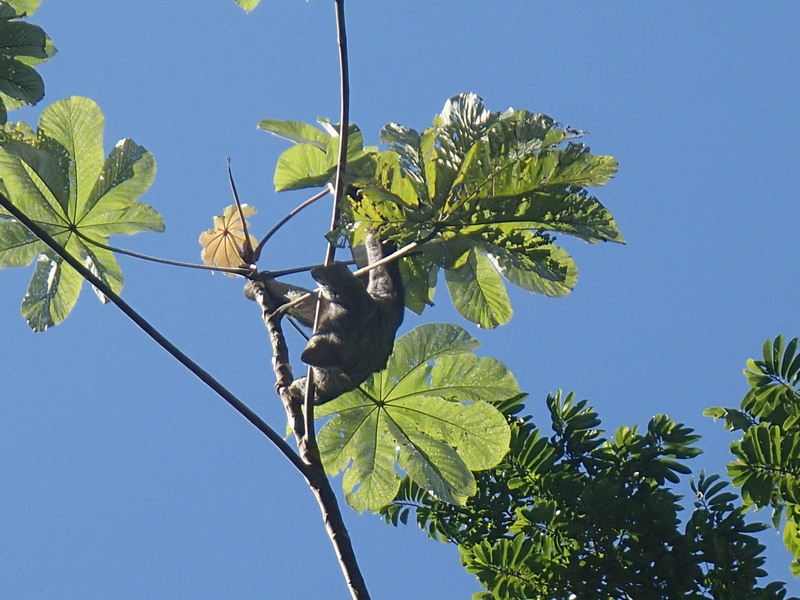 One of THREE sloth sightings. 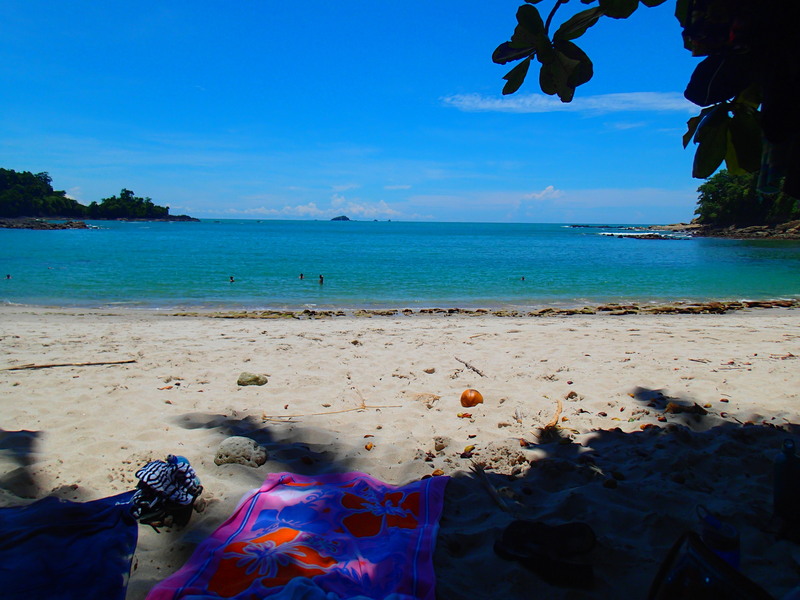 The private beach in the national park. No caption necessary.